Sales quotes are great. Everyone loves the inspiration they feel when they read something powerful from a respected, successful person. In bad times these quotes can get us through a rough moment. During good times, we often see our own actions in these words of business wisdom. While doing research for articles targeting salespeople, I discovered that some of the most read sales articles and searched sales topics are quotes about sales. In keeping with that spirit, and to please the search engine gods, I did a video of five popular motivational business sayings. 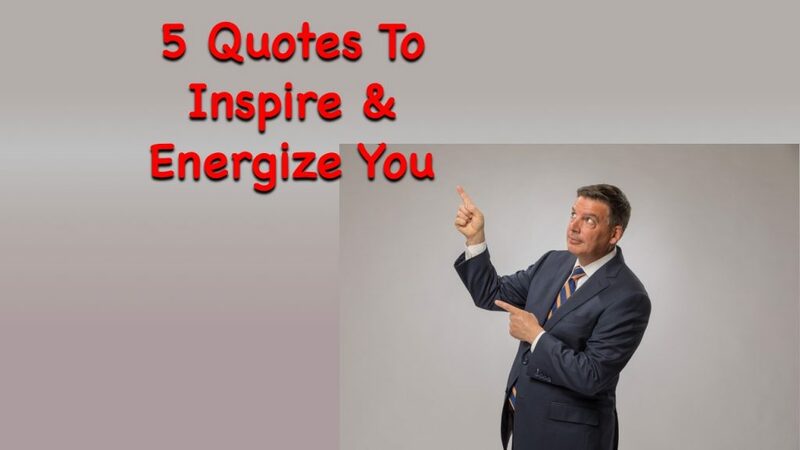 This is the main reason people search for inspirational sales quotes. The salesperson out on the road in the midst of a deep slump is looking for something to help him keep going. He’s in bed, right before going to sleep. laptop on his lap and he searches up “inspirational sales quotes” and a host of results pop up and make him feel great. He sleeps soundly and wakes up in the morning and closes his first deal in weeks. We all think we work hard and we like quotes that tout hard work. When I have to be persistent, I want to read quotes that tell me that persistence helps to win the deal. If I am brutally honest with a prospect and it costs me the deal, I want to read a quote about people of upstanding character succeeding doing the long run. Inspirational quotes make us feel good about the things we believe. Sometimes we need something to shock us. That’s where a particularly powerful sales quote can help. It can jar us into thinking about things from a unique perspective. Or at least get us thinking. If you’re doing the Google Dance and searching for something to inspire you, be sure to checkout my book: The 60 Second Sale: The Ultimate System for Building Lifelong Relationships in the Blink of an Eye. This is the exact system that has helped hundreds of salespeople become top producers in every industry.